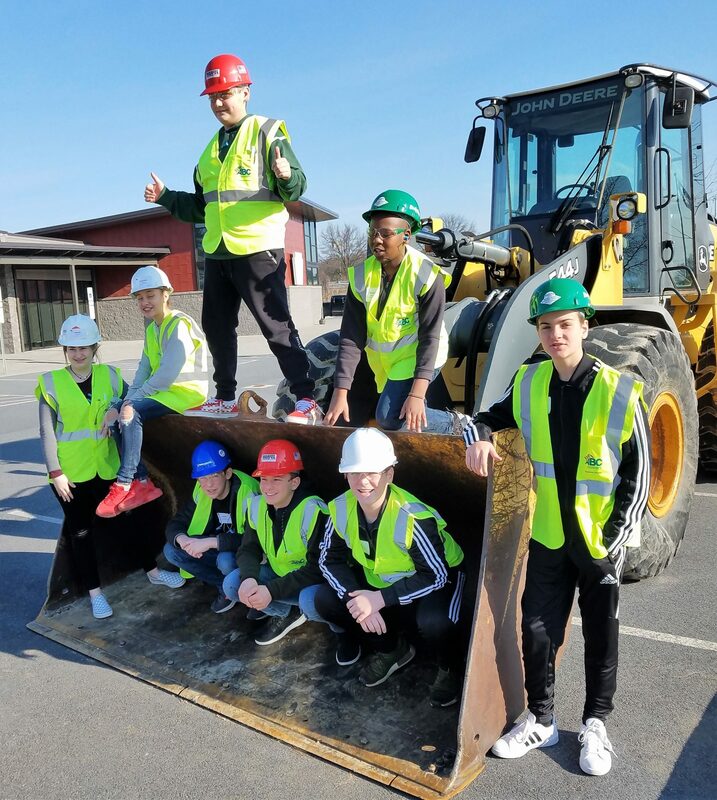 Nineteen Penn Manor middle schoolers got some hands-on experience while learning about construction trades during “Construction Wars,” held March 12-14 at the Keystone Center for Construction Careers in Manheim. 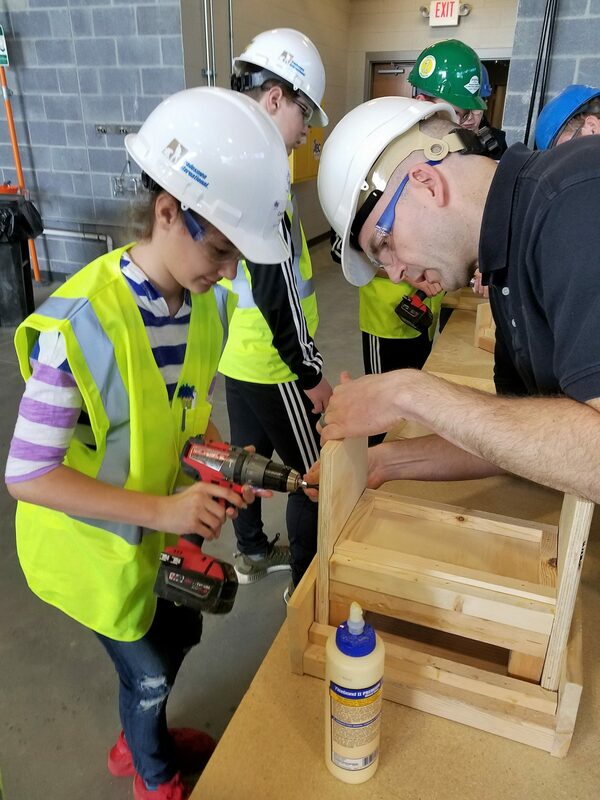 On the morning of March 14, the students donned hard hats and safety goggles and learned how to use a variety of tools, make a stepstool, wire an electrical circuit, repair a plumbing fixture and make a tool box. Their “tutors” were construction professionals. Students also learned about jobs in the trades and the career and technical education programs available to them from a representative of Lancaster County Career & Technical Center. The program, sponsored by the Keystone Chapter of the Associated Builders and Contractors, attracted about 200 students from Lancaster, Lebanon and York counties. “Construction Wars” exposed students to high-paying, in-demand jobs that don’t require a four-year college degree, said Danielle Rogers, a counselor at Manor Middle School. “An education and training program in construction trades may be the right fit for them,” she said. Participants from Manor Middle School included Keegan Baldrige, Morgan Copeland, Jael Cruz-Santos, Jordan Frymeyer, Cassandra Gracia, Keanu Hang, Alex Hogan, Joy Devin, Tyler Keller, Jaidyn Kimmet, Austin King, Dylan Leed, Matthew Lugo, Gershom Magutu, A.J. Miller, Aiden Robinson, Grant Rose, Isabella Siebold and Kelsey Warner.